If you want a inexpensive way to build your free storage on SugarSync pm me. I have 100gb of free storage and it only cost me $50 with no monthly charges. You build it 10gb at a time so it is a fairly quick process and cost is only $5/10gb. Neoware units have seemed to be more elusive for people to use due to the methods of getting the software on the units and get them running a MagicJack. Here is almost everything I have for any Neoware Thin Client. Need a clean stock image? 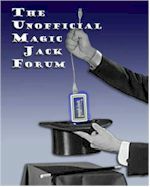 Need an image that has been tweaked for MagicJack?? I have included a list of tweaks done and steps taken to get this tweaked image. Change anything you like to make them better for you application. You need to download the correct one for your thin client. Microdisk Images: this came off a 6gb microdrive and has been tweaked for MagicJack. If you find anything that needs to be corrected please let me know. dude! you're an effing stud! Just booted XPE on my Neoware with a 512 image! Oh man! I thought all hope was lost! Do you have the default user name and password for these images? I just used a utility to change it..but ..might be good to know for others. Standard Neoware user/password is Administrator/Adminstrator. I have a ca10 e100 with 512 flash, which image would I use? I would use the E90 then check to make sure that you don't have any issues in device manager. Make sure and get the USB 2.0 driver and maybe the network driver so you can make sure both of those are updated. Or start out with a clean image and do the list of tweaks that is included with the tweaked images. Just wondering if anyone knows anything about the legality of this? I got my old CE5 Neoware up and running XPe using these images and made my own image. If I want to distribute this to all the Neoware's in my company - if MS audits us, would they be super pissed to find all these old CE devices running XPe? if it's not legit, anyone know of a way to make it so? what if you don't know what memory is in the machine? I have 2 Capio 620's that don't seem to boot. Is there a file generic enough to boot them ? You should be able to decode using the part numbers on the unit itself. The units themselves came with a license from Neoware for the operating system they were running when purchased. If you went from Linux to XPe MS might not like that but will they really do anything, probably not. But who knows? Thats a great link thank you ! I get the CP = Capio, and the -CB and -BB as that is DOM/RAM. The 4H has thrown me for a loop. Does anyone has suggestions on getting the machines booted up? I can live with them with either OS. If the 4H is of no consequence I think I can try to flash to any OS since I know the DOM/RAM but would just like to get them up and running. If original OS is Linux I'll do the Linux flash. If they are WIN XPe I'd be happier. Hope 4H doesn't mean WIN CE. Thanks again for the link ! My guess is that they were running Windows CE or Linux, but probably the first. Don't think you can use XPe due to the flash needing to be at least 256mb and you don't have that. Yes I figured as much. Now selling them in the "items for sale" section. Good deal if you know anyone looking for two units that need flashing of OS and upgrading of DOM/RAM. Thanks for your help on this. Very much appreciated. Any suggestions on a Neoware CA5 ? It does have 248MB RAM and XPe. I does load MJ but locks up if calling in. It will not dial out. What image should I go with ? Stock 256 image or is the 248MB RAM not going to cut it ? Code on the back is BE-03-HD. I think the DOM is 192MB if I read the link to the guide above correctly. Well at least 1 of the 4 units works with MJ. So a slight risk in buying 4 TC's. I can still try to add memory I suppose. Just not talented enough with that. Thanks to the author of this thread! only 1 question, I have downloaded the Tweaked version 1.5, for E140 1gb size .... I got a .DD file, anyone can tell me what I have to do to install it on my Neoware thin client???? You need to follow the instructions in the third paragragh. You prep a USB drive and use that you put the image you want on the Neoware unit.